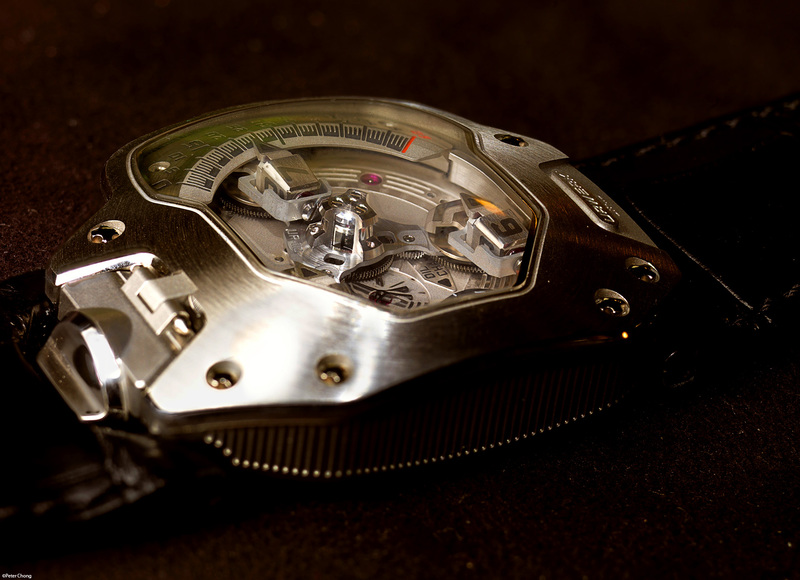 Urwerk is always amazing. 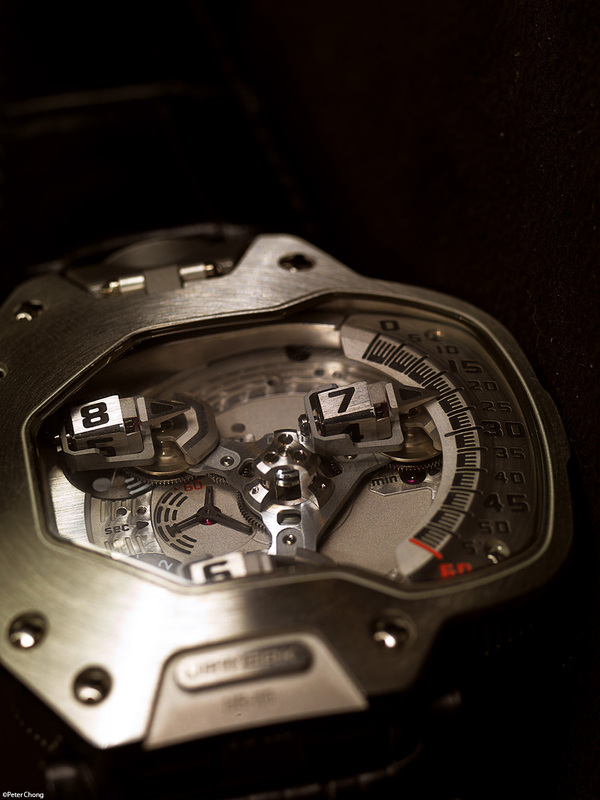 The watches they make are not strictly for telling the time, but avant garde sculptures which mesmerises because of the way it reminds one of science fiction creations. 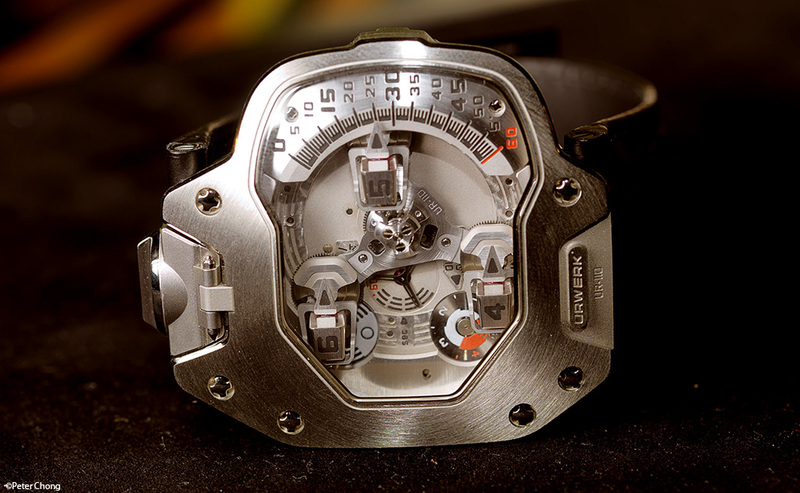 One can only imagine the designers at Urwerk: the talented Martin Frei and Felix Baumgartner have spent (or mis-spent) their youth marvelling at the works of George Lucas and the like...their creations are much like space crafts. 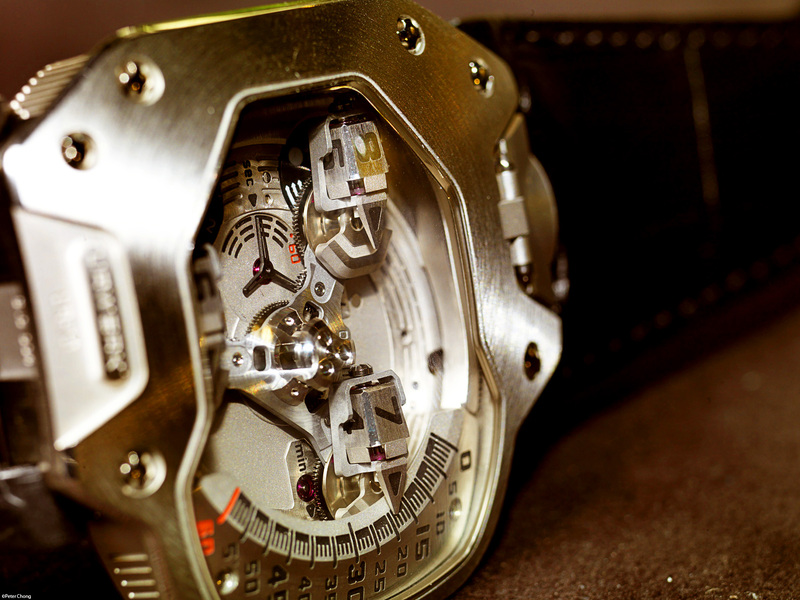 This year's new Urwerk is no different. Dubbed The Torpedo, this is an incredible piece of engineering. From the central turret, three arms spring. As the arms move around the turret, they each always point in the same direction, and at the traditional 9 o'clock position flips a cube mounted on the arm to reveal the next hour indicator. The entire turret turns with delicacy, and is designed to counterbalance itself, such that as little power as possible is needed to turn it around the turret, as well as to flip the hour cubes. The entire sclupture is at the same time retro and futuristic. 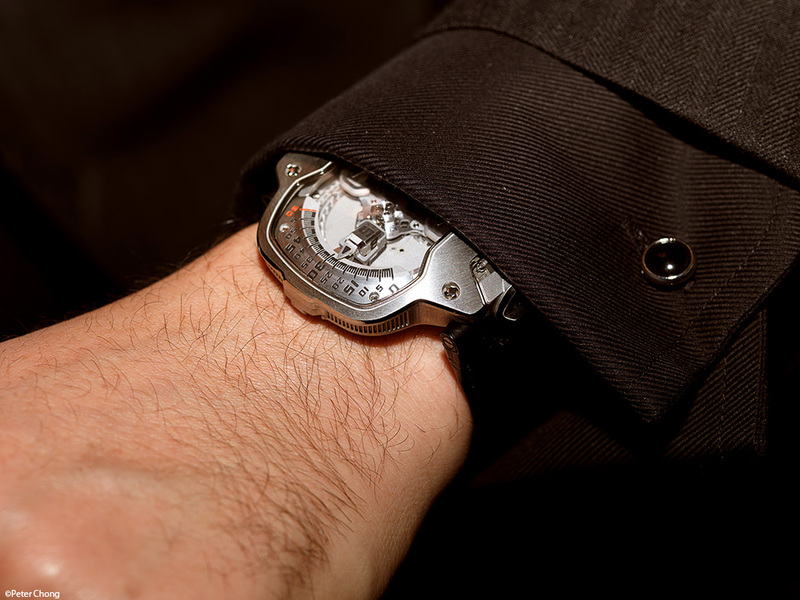 On the wrist, the time indication portion just peeks out from the sleeve, alowing the owner to quickly tell the time with a discrete look at his wrist. 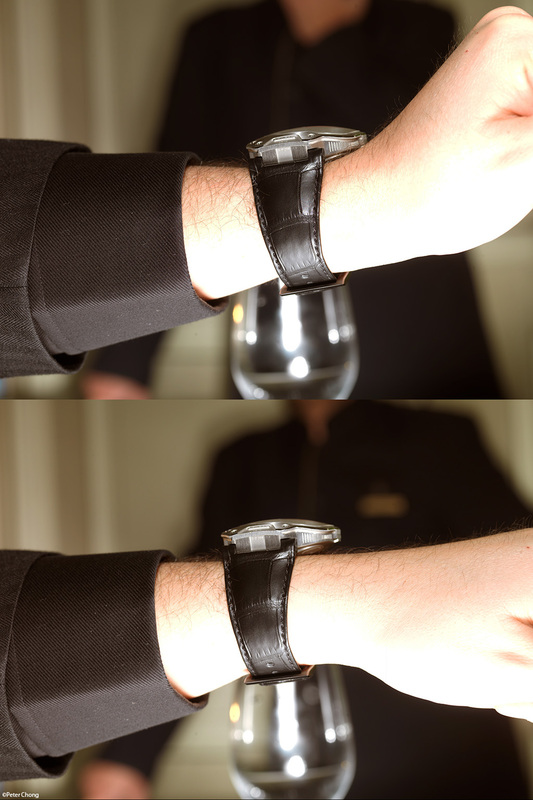 The watch's profile is also designed such that it fits comfortably on the wrist. 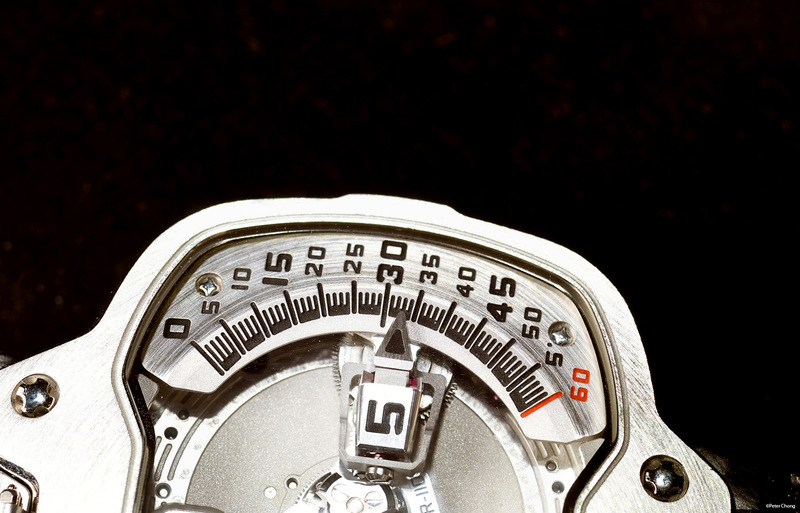 The time-telling part of the dial...as can be seen, the time is read intuitively off the dial. And a parting shot...another look at the magnificent turret system...amazing! My friend, Ben Clymer of popular watch blog Hodinkee has a good review of this novelty.